Doing what is good for community, country and climate is a business philosophy backed by shared value creation and positive multiplier effects brought about by companies managed by RGE. 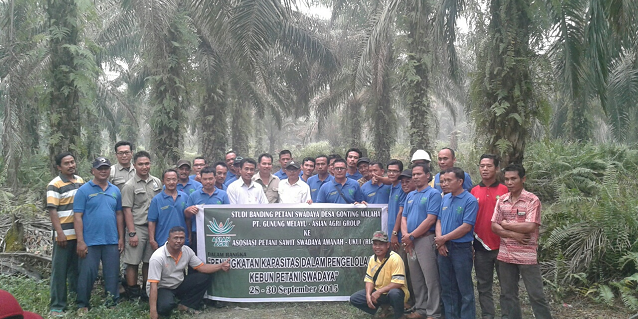 This article, first published in Bahasa Indonesia by Antara Riau, covers the positive impact created in Pangkalan Kerinci by APRIL Group‘s Indonesian operations PT Riau Andalan Pulp and Paper. The company’s operations has created employment opportunities for the local communities, contributing to the improvements in income and livelihood, bringing to the town new levels of industrial and economic vibrancy. Below is an adaptation of the article, translated in English. A good and responsible industry is one that supports livelihoods and brings prosperity to communities in their operation areas. According to data from the Indonesian Pulp and Paper Association (APKI), the pulp and paper industry has so far contributed IDR 5.6 billion annually to Indonesia’s exports. 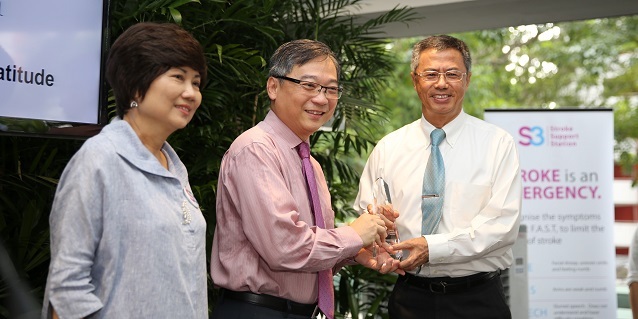 It has also created jobs for 2.1 million people throughout its value chain. The positive impact has been felt by Jufri, a resident in Pangkalan Kerinci, Palalawan Regency, Riau Province. The sprightly man began his successful business in 2000 as a partner of PT Riau Andalan Pulp and Paper (RAPP). The big white house he and his family now live in represents the fruit of his 15 years of hard work. RAPP is the Indonesian operations of APRIL Group managed by RGE, a company founded by Indonesian businessman Sukanto Tanoto. “I’ve been a partner of RAPP’s since 2000, providing operational transportation, supplying labour and rice hull charcoal,” Jufri told Antara. 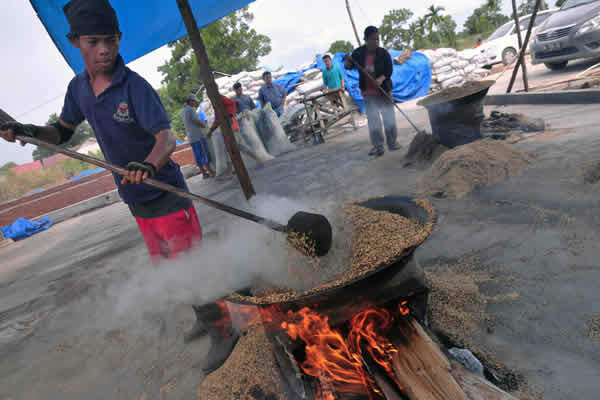 On learning that RAPP requires 150 tonnes of rice hull charcoal a month, Jufri established PT Kerinci Bersaudara in 2010 to meet part of this demand. Rice hull charcoal is used as a planting medium for acacia seeds. “I now supply the charcoal to five of RAPP’s nurseries,” Jufri said. He added that not only was the business low-risk, it was also environmentally friendly as it reprocesses waste into useful materials for forestry. 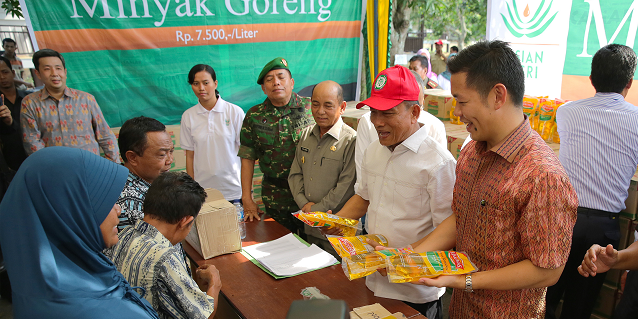 Jufri supplies 30 tonnes every three months at IDR 3,300-5,000 per kilogramme. He expanded his business by opening three more charcoal processing centres – one of which is next to his house in Pangkalan Kerinci. He will soon open another processing centre in the Kuantan Singingi regency. 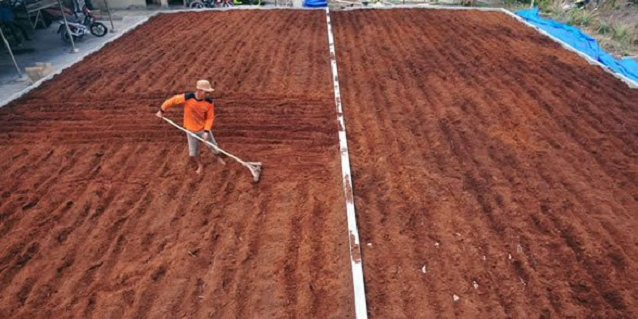 Another resident, Sulaiman, established PT Rifky Pratama Sanjaya to supply 20 tonnes of rice hull charcoal and 300 tonnes of coco peat to RAPP every three months. Coco peat is made from coconut husks, which are byproducts from industries that use coconuts as raw material. Similar to rice hull charcoal, coco peat is a conducive planting medium for acacia. “I bring in coco peat from Lampung and dry it when it arrives in Pangkalan Kerinci,” Sulaiman explained to Antara. The former contractor for the local government left his job to focus on being an RAPP supplier. “I was previously a contractor, but found it difficult to find work. And I usually ended up doing nothing. But now, I can create jobs for others,” recounted a beaming Sulaiman. RAPP’s Community Development Manager Sundari Berlian said there are 177 partners working directly with the company. These businesses include contractors, labour and transport suppliers, water trucks (that spray water on roads to wash away dust), supply seedlings to two of RAPP’s nurseries, and managing their own plantation forests. Working with RAPP has its benefits, as the locals are able to use purchase orders from RAPP to secure bank loans to finance their operations. Sundari shared that 177 of RAPP’s partners employ around 3,300 people – a great example of a positive multiplier effect created by a business on the community. The Antara Riau article may be read here. Images are from the Antara Riau.